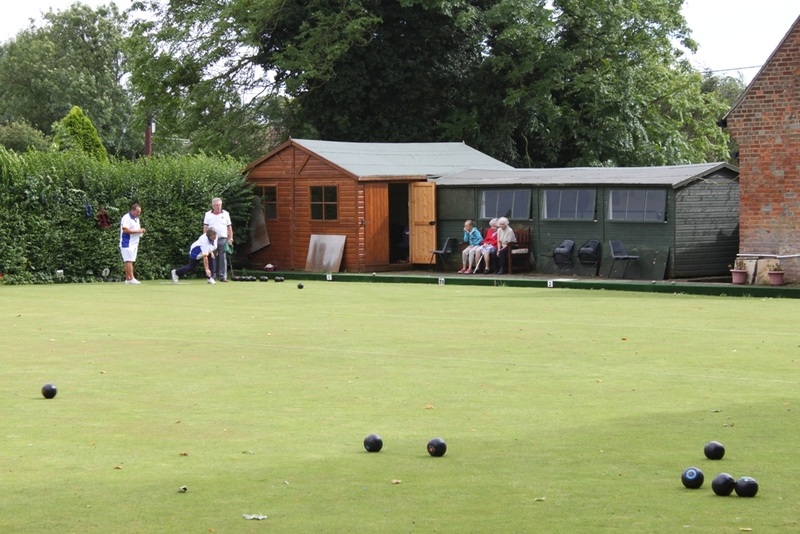 What could be better than playing a game of bowls on a warm sunny summer evening, with a group of friendly, like-minded people? We are a small friendly club, all members, regardless of ability, play in the matches. Members age from 9 to 90. You will find us behind the Village Hall. Our playing season is from April to September. Games start at 18.30. Match evenings are Monday, Wednesday and Friday. On Sundays we play for our own cups and trophies from 11.00, and include a buffet lunch. Details of "come and try" sessions and practise evenings will be published nearer the start of the season. We can provide bowls to start you off, but you do need flat shoes on the green. This is an exciting time for our club, as we are extending the green, and updating our equipment ready for the 2015 season. Please contact any of the people below for more details, or if you're passing and the gate is open, pop in for a chat.